Our range of floor scrubbers, polishers and dryers and perfect for removing dirt and grime from most types of hard flooring in a single operation. 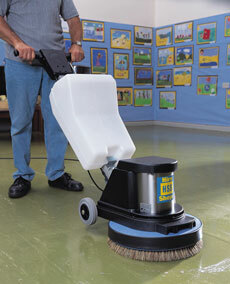 With easy to use controls, stable scrubbing motion and power assisted cleaning, these floor scrubbers will ensure a great clean, with minimal effort and time required from the user. Whether it's a wide open space, narrow aisles or small tight corridoor areas, HSS will find the floor scrubbing equipment that's right for you.